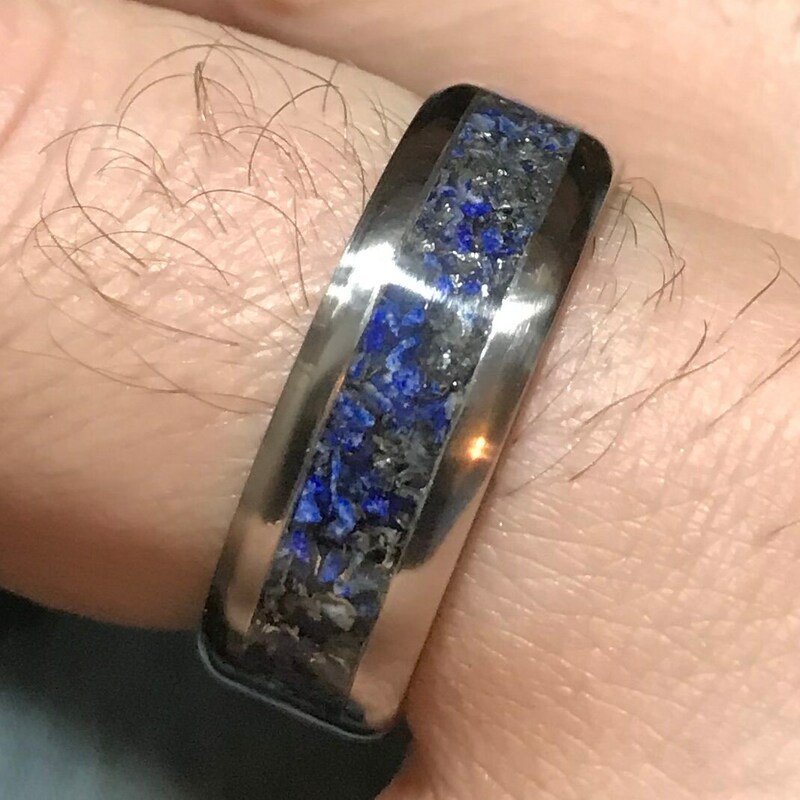 This gorgeous Titanium ring is a strong lightweight band with a 50/50 mixture of Campo del Cielo Meteorite shavings and crushed Lapis Lazuli stone inlay. 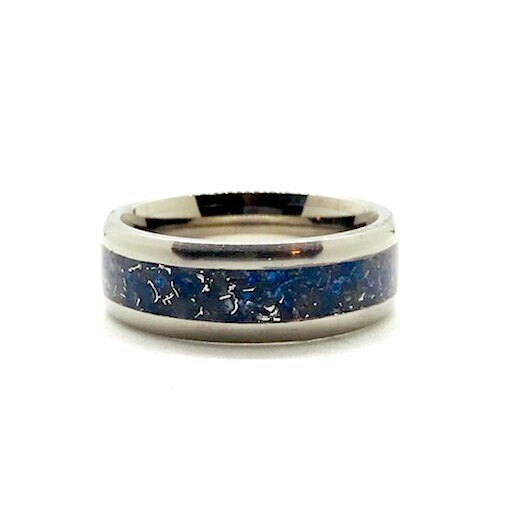 This meteorite ring is pure, no powders or pigments were mixed in the inlay. 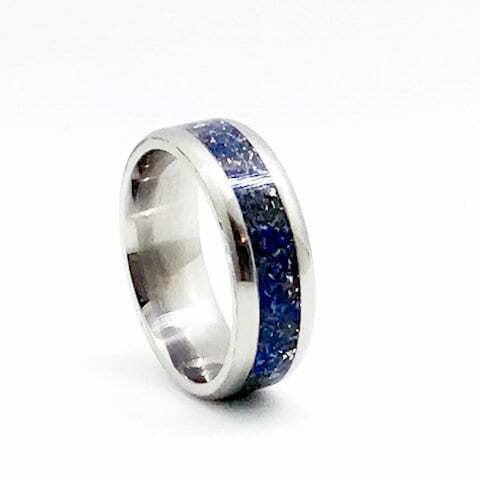 Each ring is milled from a solid piece of titanium and made to your ring size using a jeweler's mandrill. The wood is then shaped and polished. The wood is then encased in a strong cyanoacrylate, making it water resistant and scratch resistant and ready for daily wear!